One Australian drug company — with only one (failed) product in one (failed) clinical trial — just keeps tripping up current and former House Republicans. 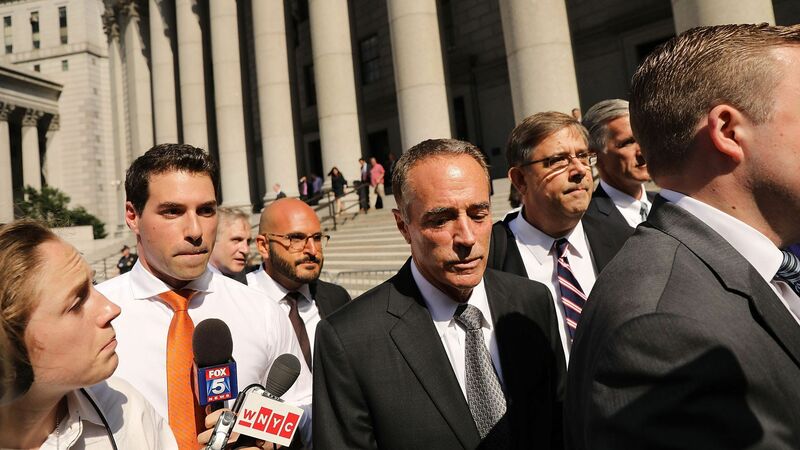 Driving the news: Federal prosecutors in New York indicted Rep. Chris Collins yesterday on charges of insider trading, stemming from the sale of shares in a company called Innate Immunotherapeutics. It's the same company you may remember from Tom Price's confirmation as Health and Human Services secretary. He tripled his investment when divesting of the stock to become secretary, according to the Wall Street Journal. Collins had been an investor in the company for 15 years, the WSJ reports, and was a member of its board. Price bought almost 500,000 shares in the company, most of them in 2016, at a discounted rate only offered to a few Americans. At least four other GOP lawmakers also bought shares of Innate a few months later, according to the watchdog group CREW. Of those six lawmakers, four — Collins, Price, and Reps. Billy Long and Markwayne Mullin — sat on committees with direct health care jurisdiction. The company did not have any FDA-approved drugs on the market, and had just one product in development at the time the members of Congress bought their stock. It was in the midst of clinical trials for a multiple sclerosis drug. "Within about fifteen seconds of sending his email," the indictment says, Collins started calling his son, who — along with his girlfriend and her family — quickly unloaded their Innate shares. Why it matters: An indictment on charges of insider trading, with a pharmaceutical company, while writing the laws for pharmaceutical companies, is not the look Republicans would have wanted heading into what's already a difficult midterm election. The indictment, and other lawmakers' stock ownership, also raise substantive questions about whether Congress has strong enough protections in place to prevent members from profiting off information they possess or votes they cast. — An earlier version of this story misstated the drug Innnate Inmunotherapeutics was testing. It was a drug for multiple sclerosis.